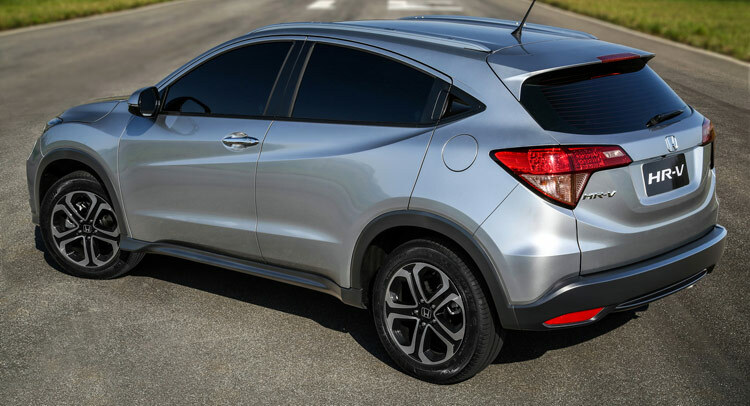 Brazil is the next major market to welcome Honda's new HR-V small crossover that was revealed today at the Sao Paulo Motor Show. With the welcome exception of the orange turning signals that were replaced with clear units on the Brazilian-spec HR-V, there's nothing else different on the design front compared to the U.S. model that will have its world premiere at the LA Auto Show next month. Unlike the European HR-V that will launch next year with a 1.5-liter i-VTEC gasoline unit and a 1.6-liter i-DTEC diesel, Brazil's version will be offered exclusively with a 1.8-liter SOHC i-VTEC flex fuel engine paired to a CVT when it arrives in dealerships in the first quarter of 2015.